The H816 variety is a tall upright tree that may be topped to control it's height early on. To ensure a healthy tree with excellent crops every year, mulch in summer and apply fertiliser every Spring and Autumn. The H816 variety partners well with the H849, TMac 1, TMac 2, TMac 217 and NG 8. 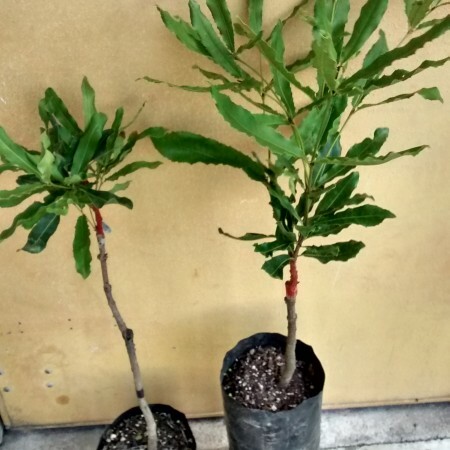 NBShipping for garden trees is $15 per plant. If you would like to purchase four or more plants, please fill out the form on this page and we will provide you with a quote including shipping which should save you a bit of money …or enable you to buy an extra tree or two! This variety drops 100% of their fruit for easy harvesting. The first large grade crop is usually expected in the forth year between June and August. Large size creamy kernels are produced in medium thick shells. 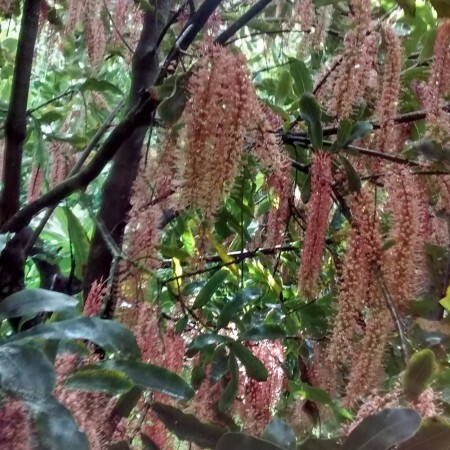 The trees have creamy blossoms and the leaves are medium size, rounded, smooth and light green. 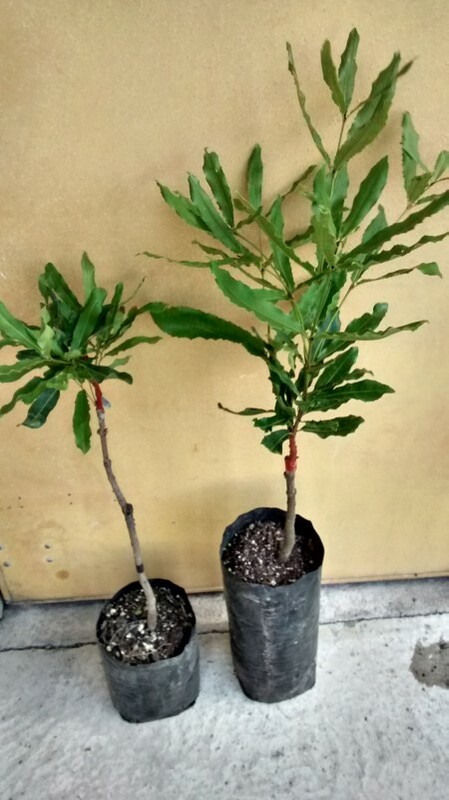 Large grade macadamia plants come in PB.8 bags.